Charlotte Tilbury just released a new palette a couple of weeks ago. It's called the Instant Eyes Palette ($75), and it includes four eye looks and 12 different shades in total. Take it from us: It’s gorgeous. But that didn’t stop her from releasing yet another palette today—she never stops, does she? It’s just as gorgeous, and it comes just in time to meet all of your Halloween makeup needs. The new palette is a new version of her wildly popular Instant Look in a Palette ($75), which includes shades for eyes and cheeks, including blush, highlighter, and contour. (See our senior editor apply and review this palette here.) Unlike the first one, though, the new shades in this palette are a little bit deeper, a little bit smokier, and a whole lot more vampy. Keep scrolling to see the new palette and discover the exclusive place you can purchase it from. 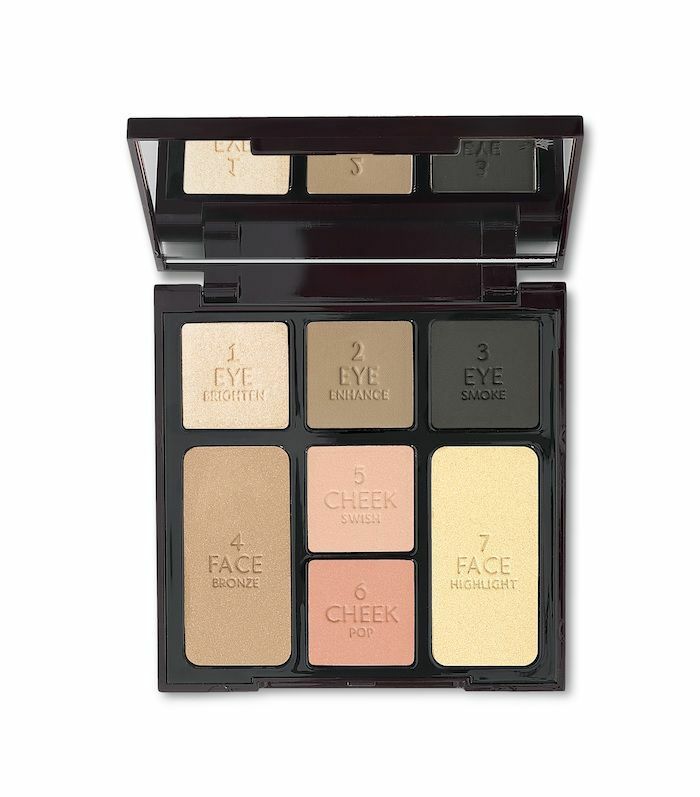 Just like the earliest iteration, this smoky eye palette contains three eye shades, two face shades, and two blush shades. The shadows are brand-new to Charlotte Tilbury and exclusive to this palette. (We love the brownish-green color in the top right.) As for the face pans, the contour color is actually a smaller version of Tilbury’s Filmstar Bronzer ($68). Similarly, the highlighter is her eponymous Bar of Gold ($42), which gives of an iridescent gold illumination to the skin. So far, this palette is being sold exclusively on the Beautylish website. There’s no word yet on whether or not it will eventually be offered at places like Nordstrom or Charlotte Tilbury’s own website. But in any case, we think you should act fast if you’re interested. Tilbury’s new products (especially her palettes) have a tendency to sell out quickly. And we can see why. Next, see which high-end skincare line just announced that Cara Delevingne is its new ambassador.